The ONLY new houses that councils will ever build from now on will be private rented properties at full private rent levels. 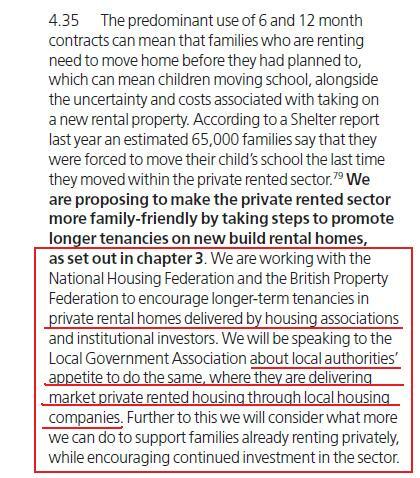 That is what the Tories housing white paper released 8 February says and means. If councils build for social rent or the misnamed affordable (sic) rent levels these properties are (a) liable for the right to buy, and (b) liable to be forcibly sold to pay for the right to buy discounts paid to housing association tenants. As such the ONLY viable housing for councils (and ALMOs) to build is properties for full market rent through the vehicle called a Local Housing Company (LHC). IF councils do not build at all they will be surcharged and sanctioned by central government which is another factor within the Tory white paper – I say factor as this is just another vague statement in the white paper that has no detail but a very strong stated government intention. I covered all of the above detail in my post here on the day of the white paper release and it is necessary to restate it here as today sees a pitiful and very incomplete analysis of the facts in an Independent article that only says ALMO (a council housing construct at arms-length) new housing will be subject to RTB and fails to say that the white paper forces councils and ALMO to build private rented properties ONLY. If councils or ALMOs build for social rent these properties will be subject to right to buy AND they will be subject to forcibly being sold to pay HA tenants right to buy discounts. If councils or ALMOs build for affordable rent these properties will be subject to right to buy AND they will be subject to forcibly being sold to pay HA tenants right to buy discounts. That leaves the ONLY option which councils and ALMOs are forced to build is private rented properties that of course have a full private rent level. Hence there is never any chance ever that councils or ALMOs will ever build for social rent and hence all councils will become private landlords. And see here for details of the 98 English local authorities who have already set up LHCs and means ALL councils will set up such devices to do the same. That’s why the White Paper also explains how we will take action against developers or authorities that are not pulling their weight. Where will your children ever be able to afford to live? Where will your grandchildren ever be able to afford to live? Where can you children / grandchildren / you afford to rent so you can save for a mortgage deposit? By how much will homelessness increase each and every year as fewer properties are available on a genuinely affordable basis to rent? 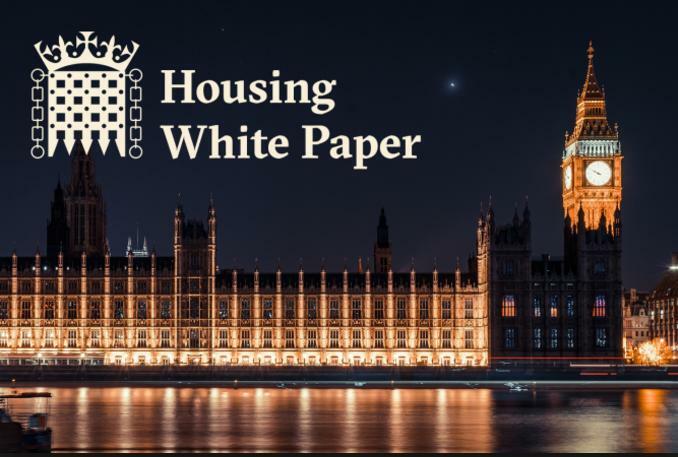 Q) Why would housing associations develop for the affordable (sic) rent model at up to 80% of gross market rent when the Housing White Paper means they can go and WILL go direct to 100% of gross market rent? Yes that’s rhetorical too as those who finance housing associations will insist they go straight to gross market rent as a condition of lending the money in the first place! Q) Does that means the end of all social housing? Yes – and yes that’s rhetorical too! An example of how the seminal changes relates to existing proposals can be viewed in the current issues in the London Borough of Haringey and a post here by Michael Edwards, an economist and planner, and now a semi-retired professor at UCL’s Bartlett School of Planning explains in detail. The LB Haringey proposal that has been called the £2bn gamble before this change now sees ‘gamble’ being too kind a description! That’s pretty much a glass half full attitude to this problem. If councils build Council Houses through ALMOs but then start by putting people in them off the Housing waiting list and those classed as homeless using the Local Housing Allowance rental fees then these people, due to backgrounds and potential ability to gain mortgages, will NEVER be able to take up the right to buy. Anyone else after that cohort of people would still be probable low wage so same issues but this is where the councils get cute because they can ask ALL of the people who want to rent via Council Housing stock that in exchange for a min 10yr tenancy they sign away their right to buy as this will also include an ability to continue their 10yr lease in year 9 for a further 10yr period and on and on until they feel they should leave with the additional benefit they can pass this privilege on to any children who live there in the longer term. The Tories just want to scare Councils into NOT building Council Housing. In 2015 the House/Elficke report set up by the Tory Gov indicated Councils should be Housing enablers but the idea was to use PFI style funding when the good old Public Works Loan Board system was still there to use and is still there as Liverpool Police have just proven using the system to pay for a new £40m new headquarters rather than use PFI. Councils NEED to be clever and work out systems to get around the barriers Tories put in front of them including using Brownfield ONLY o build Council Housing on. The benefit to the benefits system and the Councils will be enormous as the Housing Assets which will NEVER be sold will allow for future borrowing when the assets gain value and income from profits on rentals allow it. I hope you like my observations as Council now need to use the tools they have not complain about the way they have been given them.